The launch of the MadeAtUni initiative shows how our University, and others like it, are having a real impact on the communities we live in. The University of Sunderland is at the forefront of some of the most important issues of our time, from the technology we use every day, the medicines that save lives, and the teachers who inspire future generations. One way in which we change lives on a daily basis is through widening access. In January 2017, Sunderland joined 14 other universities by signing the Stand Alone Pledge and promising to support students who have become permanently separated and estranged from a support network. Students are now given a personalised package of support, including guaranteed accommodation for the whole year, secure storage for belongings during vacations or while studying abroad, someone to act as a guarantor if required, as well as a £1,500 scholarship and other forms of pastoral support. 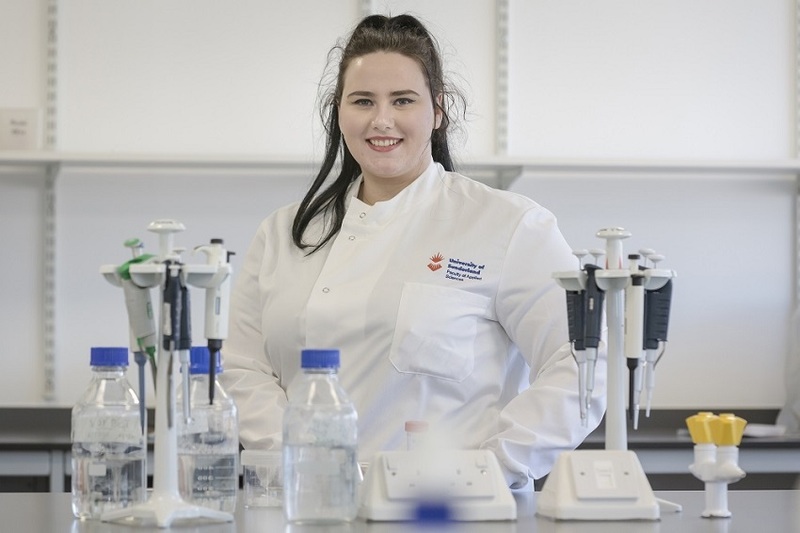 Keiran Cull, 21, is in the final year of her degree in BSc Physiological Sciences at the University. She has pursued her studies, with the eventual aim of becoming a neuroscientist – despite a difficult childhood and a life spent independent from her family. “I’ve been estranged from my family for three years,” she says. “My dad died when I was 14, and my mum’s mental health declined. She decided she didn’t want any relationship with me. “I chose to come to university because I always thought I could do more. I was always told I couldn’t, but I want to prove I am intelligent, though people have told me all my life that I’m not. I’m here, and I’m still going, and after my degree I’m going to study for a Masters degree. Last month the University won the Stand Alone Excellence and Innovation Award in the category ‘Engaging with Estranged Students’ for their work with students like Keiran. While earlier this year the team received two national award nominations, a Guardian University Award and a WhatUni Student Choice Award for their efforts in this area. Improving access to Higher Education is just one way the University of Sunderland is changing lives. The national campaign, coordinated by Universities UK, issupported by the hashtag #MadeAtUni, and lists the other ways lives are being changed at institutions across the UK. The list captures the depth and breadth of the impact of universities and demonstrates how they are at the forefront of some of the world’s most important discoveries, innovations and social initiatives, including the creation of the internet, work tackling plastic pollution, ultrasound scans to check the health of unborn babies and the establishment of the Living Wage. The list also highlights the less celebrated breakthroughs that transform lives, including a specially-designed bra to help women undergoing radiotherapy; a toilet that flushes human waste without the need for water; the development of a new scrum technique to make rugby safer; a sports initiative that aims to use football to resolve conflict in divided communities; – and even work to protect the quality of the chocolate we eat. Here, at the University of Sunderland, our commitment to changing lives continues. Our teams consult with Students’ Union, and with estranged students on an ongoing basis, to ensure the student voice is central to our work. As a result of widely communicating with students and staff Sunderland is now working with 53 estranged students and that figure is growing, with more students coming forward each month. The University is seen as a national leader in making a difference to the higher education experience and outcomes achieved by estranged students. How is the University managed?